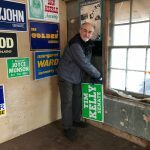 The post New in the Archives: January 2019 appeared first on Archives and Special Collections. December was a fairly eventful month for us. 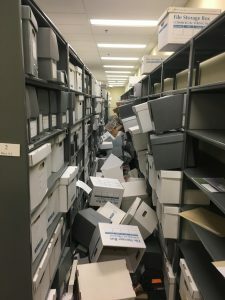 November went out with a bang (a real one, a 7.0 earthquake with an epicenter very near Anchorage) and so our regular workload for early December was rewritten by needing to deal with the aftermath of the effects of shaking on a building and shelving units. 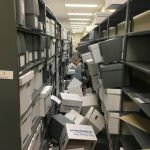 Gwen and Veronica managed to clean up the over 130 boxes that landed on the floor of our archives vault (or on each other, really) in just about 8 hours of work. Arlene picked up the oversize books in Rare and Susan Klein, a local librarian, came in and helped us out by picking up the APU theses that had fallen and getting all of them in call number order and boxed for storage in the vault. Thanks Susan! We also did a few days of book and journal pickup in the other sections of the library too. 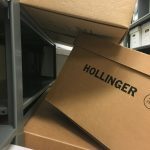 We did a recap of our experiences with the quake in our December podcast and took a look at how compact shelving might have helped us have a different outcome in our blog. Thankfully none of the many aftershocks have caused any additional damage to collections or the facility, though we all seem to be a bit jumpy about some of the larger ones. 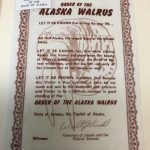 EPH-0416: Order of the Walrus certificate and pin; circa 1960-1969. 0.01 cubic feet. 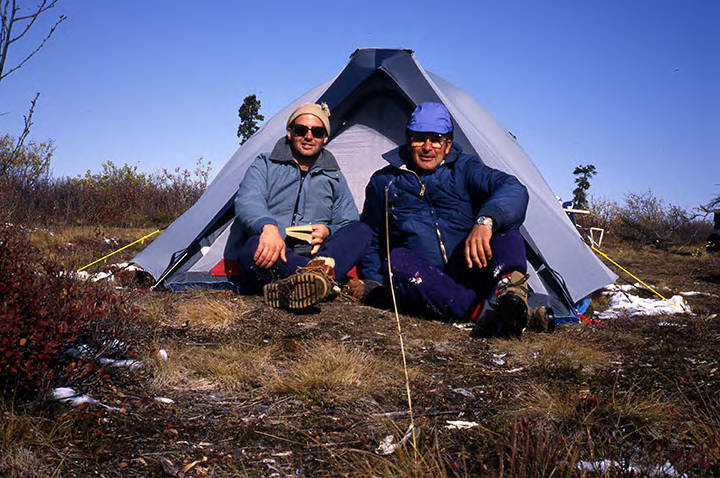 HMC-1300: Craig Mishler papers; 1943-2015, bulk 1988-1998. 3 cubic feet. Papers from a folklorist and anthropologist. HMC-1309: Chickaloon Coal Company records; 1910-1922, bulk 1917-1919. Documents regarding company operations. HMC-1180: Walter Parker papers; circa 1940-2014. 6.1 GB Digital versions of documents that due to fire damage could not be saved. 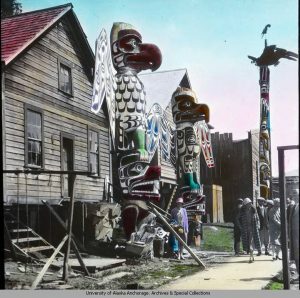 HMC-0059: Clarence Leroy Andrews papers; 1892-1946, addition of 0.75 cubic feet, glass lantern slides. 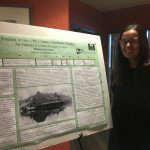 We hosted the poster session for Dr. Jennifer Stone’s History of the English Language course final. It’s always such a treat to see the use students are making of archival sources! 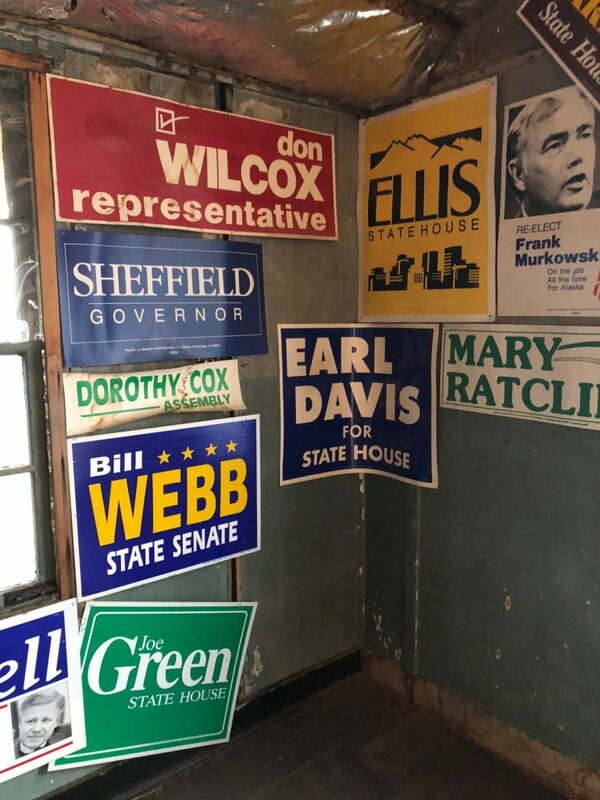 Here’s a few photos of some of the projects and if you’re interested in learning more about how this topic can connect with archival sources, Gwen interviewed Dr. Stone for our podcast in November. Technically it was in November that the Alaska’s Digital Archives was moved to a new hosting platform, but it was December when we finally got the access to the administration of the site and could start updating items and adding more. It’s not the prettiest looking thing at the moment and there’s a few bits of customization that we’d gotten used to that are no longer available, but overall there are a lot of benefits to this change, especially once we get some work done on how the site looks. For starters, the site is now a responsive design which means that for folks working on mobile devices like smart phones and tablets, they’ll have an easier time viewing the site because it will be resized to fit their screens. One behind the scenes benefit, which you might not be aware of, is the substantial costs savings and access to software upgrades. Due to how we’d been running the site, we no longer had access to software support which meant that a lot of software upgrades and bug fixes–like that responsive design–were not available to us. On the cost side, while each partner still absorbs the cost of digitizing, cataloging, uploading, and updating each individual item in the Digital Archives, our joint costs for software and server support and administration have been cut by well over half: from about $65,000 per year to just under $30,000 for the next year and we expect it to decrease even more in following years. That’s a huge cost savings to the three partners that pay for site maintenance (Alaska State Library, UAA/APU Consortium Library, and UAF Rasmuson Library) and will hopefully mean that sustaining partnerships will become more financially viable for some of our current partners who have been participating on a smaller level with limited term project partnerships. If you’ve been using the site in past and can’t find some functionality that you used to have, will you let us know? We’ll see if we can figure out if it can be re-established or if not, if there’s a different way of doing the same thing. In the meantime, we’ve started working again to upload more items to the Digital Archives. For December, that was 14 additional images from the Clarence Leroy Andrews papers. That’s it for December and 2018 too. We’re looking forward to another productive year but hope that won’t include any new substantial earthquake responses! We wish you all the best for 2019. 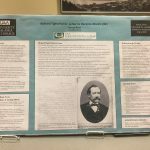 The post New in the Archives: December 2018 appeared first on Archives and Special Collections. 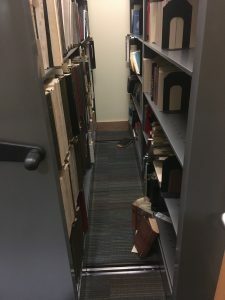 November has come to a close, and while we normally try to get our monthly reports out before too long into the next month, the earthquake on November 30 put a dent in our plans (but not in our collections). We are back to normal operations and had some cleanup ahead of us, but no collections have been damaged from the earthquake. Just boxes and some folders, which are replaceable. However, for a majority of November, we had been busy describing new collections and additions to collections and speaking with donors. HMC-0420: H.A. “Red” Boucher papers; 1942-1995, bulk 1978-1990. 2.0 cubic foot addition. “Red” Boucher was a member of the Fairbanks City Council (1961-1964) and mayor (1966-1970). He served as Lieutenant Governor from 1971-1974 under Governor William Egan. Thereafter, he became involved in various business activities. 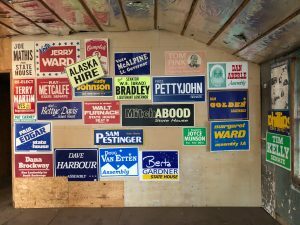 He later unsuccessfully ran for mayor of Anchorage and was elected to the Alaska House of Representatives where he served from 1984 to 1990. Boucher developed an interest in computers and telecommunications in the early 1980s and became a strong proponent of their development and use. The vast majority of this collection contains papers and files relating to the public career of H.A. “Red” Boucher. HMC-0879: Catherine Stadem papers; 1927-2015. 0.01 cubic foot addition. Catherine Stadem is an Anchorage author and local theatre critic. The collection contains Stadem’s personal records and review files, which include playbills Stadem used to write her theatre review columns. 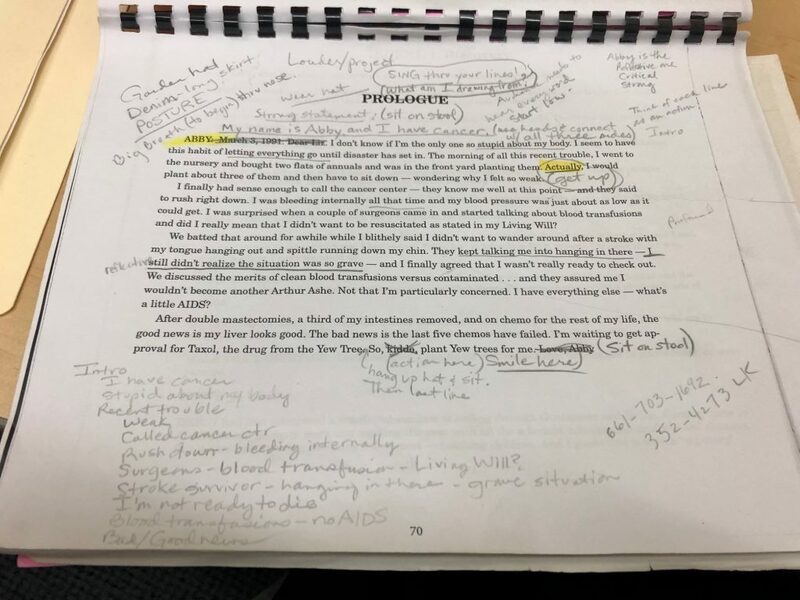 The collection also contains the research files, correspondence, photographs, and publication information for The History of Theatre in Anchorage, Alaska, 1915-2005 written by Stadem. 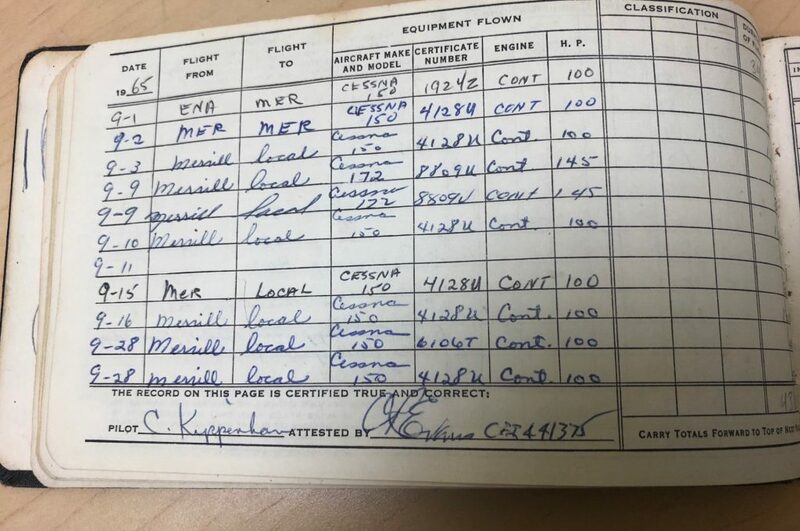 Included in Stadem’s most recent addition was her pilot’s flight record pictured below. HMC-1222: ACF. Alaska Culinary Association records; 1965-2015. 0.02 cubic foot addition. Records of a non-profit professional organization of culinary professionals, restaurant managers and owners, culinary educators, and food purveyors. HMC-1255: Michel Villon papers; 1966-2017. 2.2 cubic feet addition. 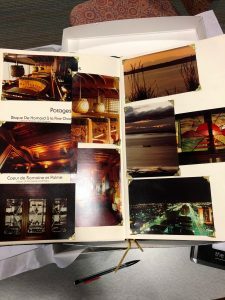 The collection contains papers of Michel Villon that relate to his career as a chef. 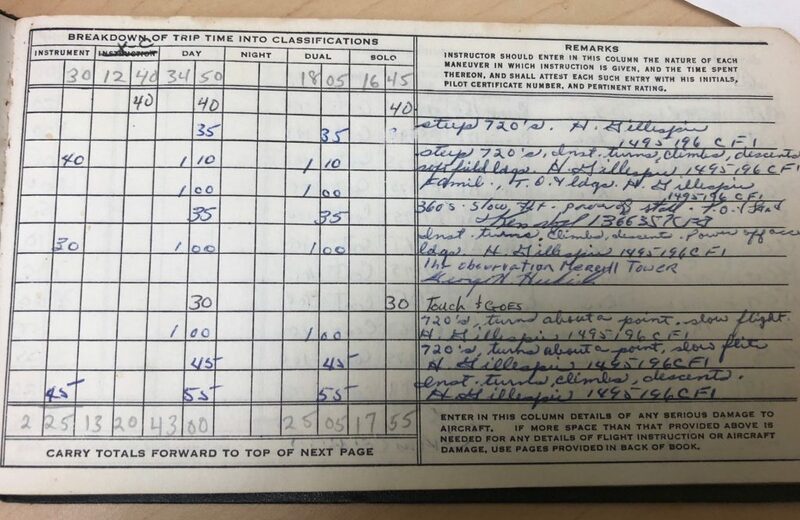 The collection includes work schedules and correspondence, thank you cards from classes he taught and events he volunteered for, photographs taken of the Crow’s Nest and Prudhoe Bay, financial information and food costs, and Mt. Marathon planning, as well as materials used in courses he taught. Included in Villon’s most recent collection is a photograph album from his time at the Crow’s Nest, which is pictured below. 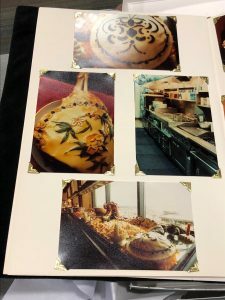 The photographs in the album were put on Crow’s Nest menus. HMC-1270: Max Gruenberg papers; 1955-2016, bulk 2004-2016. 3.6 cubic feet and 4 MB addition. Max Gruenberg was a Democratic member of the Alaska House of Representatives. The collection mostly contains bills files, which include correspondence, drafts, Gruenberg’s annotations, bill histories, fiscal notes, and amendments to various bills. The collection also includes photographs and constituent and legislative correspondence. HMC-1302: William B. Workman papers; 1970-2005. 1.0 cubic feet. William B. (Bill) Workman is an archaeologist who has worked in a variety of Alaskan locations, primarily in southcentral Alaska. He received his PhD in Anthropology from the University of Wisconsin. He worked as a professor of anthropology at Alaska Methodist University from 1969 to 1976 and at the University of Alaska Anchorage from 1977 on. Between 1970 and 1976 he was contracted by Alyeska Pipeline Service Company to do archaeological surveys and expeditions along the proposed Trans-Alaska Pipeline route. 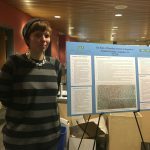 The collection contains field notes, notes, correspondence, and a typescript copy of the final report on the Trans-Alaska pipeline archaeological survey. 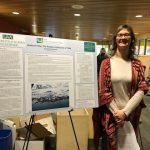 The collection also includes some correspondence, papers, and presentations including papers on the history of archaeology in Alaska. HMC-1307: Bruno Kroon papers; circa 1919. 0.01 cubic feet. Bruno Kroon emigrated from the Netherlands to Oregon in 1910. In 1919, he worked in Alaska, probably at canneries in False Pass and Mozhovoi Bay. 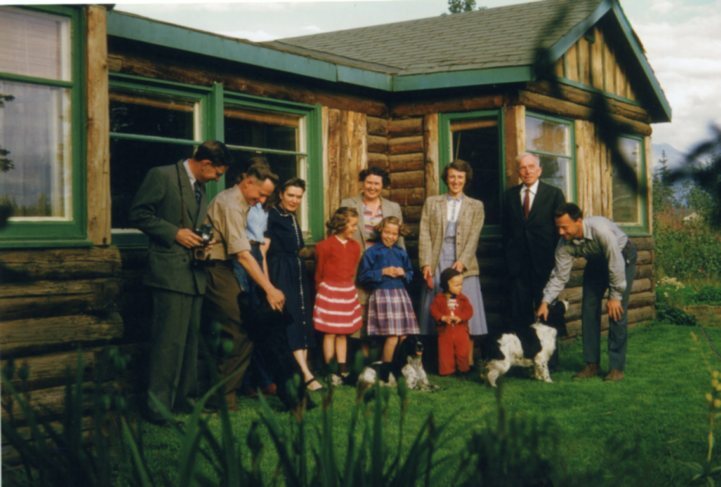 The collection contains photographs of his time in Alaska. 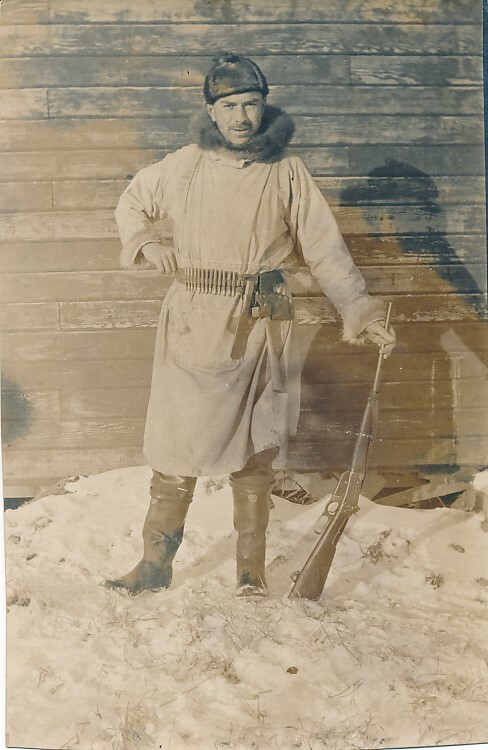 Photograph of Bruno Kroon in his “hunting costume”. HMC-1309: Dennis Neill papers; 1989 April-May. 0.3 cubic feet. Dennis Neill was the Public Information Officer for the Rocky Mountain Incident Management Team, an interagency emergency response team made up of representatives from various federal agencies, as well as state and local governments. Following the Exxon Valdez oil spill on March 29, 1989, Neill worked for the Kenai Peninsula Borough as the Video Project Coordinator and was responsible for contracting to document skimming operations in the Elizabeth Island area, beach cleanup, boom deployment, bird and animal recovery, oil disposal, and administrative activities. The collection includes documents and video pertaining to the Exxon Valdez oil spill. UAA-0133: UAA. Institute of Social and Economic Research Fiscal Policy papers; 1989 August-1999 October. 0.01 cubic feet. ISER began publishing its series of Fiscal Policy Papers in 1989 to examine the effect of declining oil revenues on Alaska’s economy. The publication continued to analyze Alaska’s economy and fiscal policy over thirteen papers dating from 1989 to 2003. The Archives holds numbers 1-9 and 12. UAA-0134: ACC. Associated Students of Anchorage Community College records; 1970-1971. 0.01 cubic feet. This series includes records related to the founding of ASACC including the constitution, election records, a newsletter, meeting notes, and announcements regarding on-campus movies. 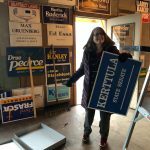 There is already a blog post about this, but a couple weeks ago, with the help of friends and coworkers, we went to a former Anchorage business, the Stake Shop, and removed campaign signs from the walls. With the approval of the current owners, of course. Below are some photographs of the adventure, and for more information and additional photographs you can also read the blog post. We would again like to thank Sigrid, Steve, Sam, Kevin and all of the others who were involved in letting us know these signs were here and for helping us remove them. One of the corners in the building with signs stapled to the walls. 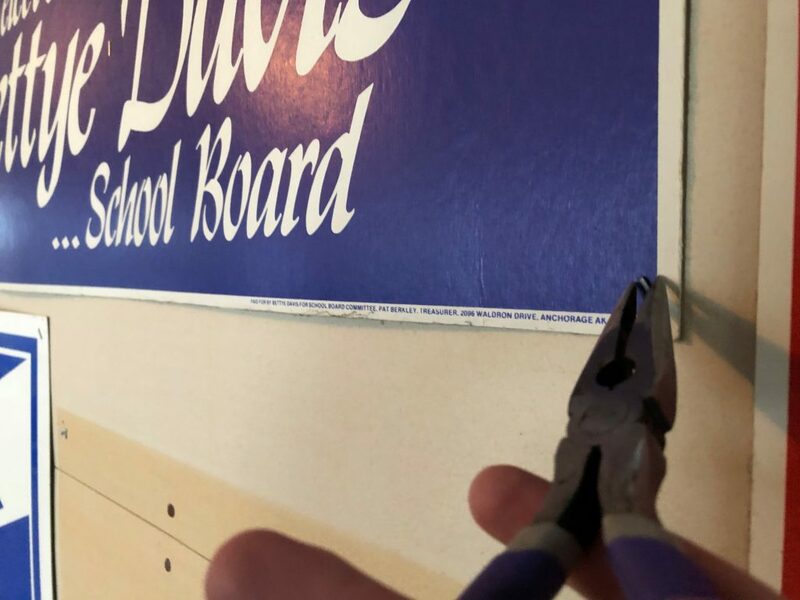 Action shot of removing a staple. 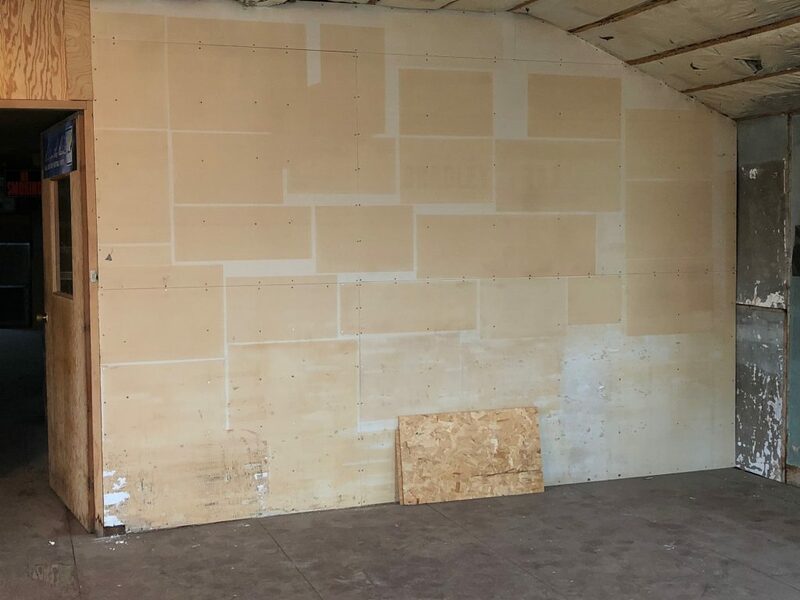 Below are before and after shots of the wall. 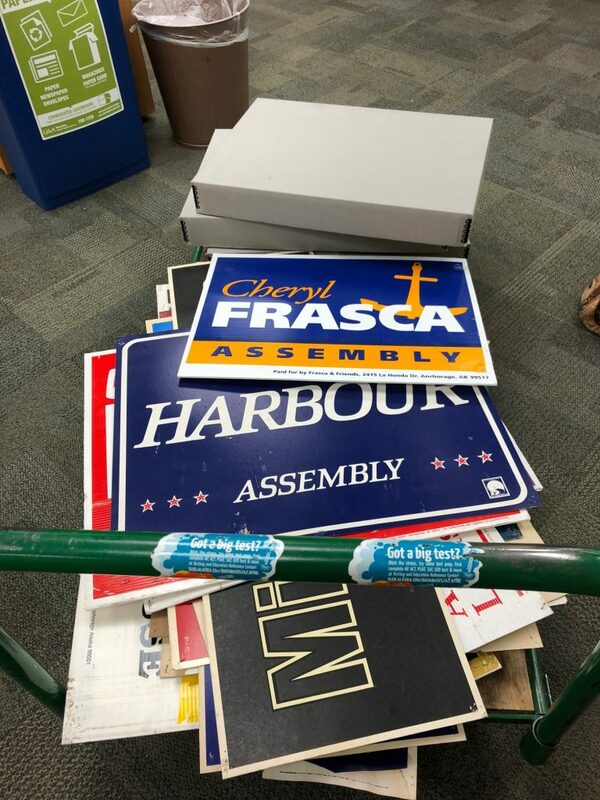 The signs once we were able to bring them into the library. 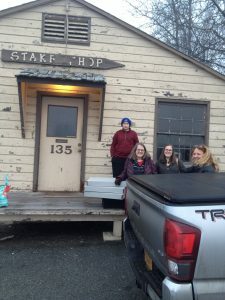 In the most recent episode of Archiving AK, archivist Gwen Higgins speaks with Dr. Jennifer Stone, a professor of English at the University of Alaska Anchorage. 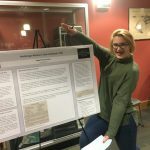 Jennifer discusses her decision to incorporate archival research into her History of English Language course and what she has learned from having her students use archival sources for their projects. 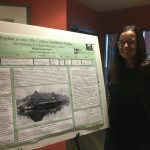 She also talks about her experiences using archives for her own research on language in Alaska. You can find this and other episodes of the podcast right here on our website, on SoundCloud, and now, on iTunes. 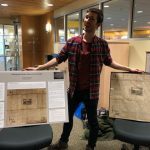 The post New in the Archives: November 2018 appeared first on Archives and Special Collections. Most archival collections are available for use but because the majority of the boxes that deshelved themselves during the quake are in the aisle that has our most frequently used collections, we may not be able to provide access to all collections immediately. Many collections in that aisle stayed in place, but since the floor is covered in boxes and documents, we are unable to reach them. We ask that if you are planning to come to the Archives to do research, contact us in advance of your visit to see if the materials you need will be accessible for your visit. 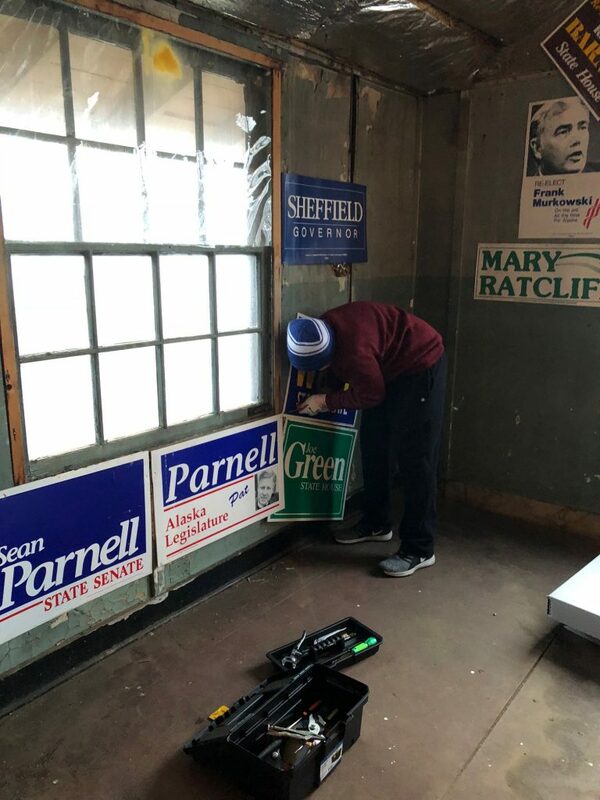 We thank you for your patience as we start to clean up those boxes that did not stay shelved: getting this fixed and reshelved is a priority for us at this time. The Rare Books room has similar issues. 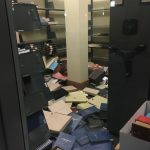 While the small and regular sized Rare Books are on compact shelving and did just fine through the quake, many of the oversize Rare and the APU masters theses are no longer on shelves. They do not seem to have suffered any damage but because we don’t want to cause more damage to them by wading through them to get to the ones still on shelves, access to these items may be delayed for awhile. Like with the archival collections, please contact us in advance of a visit to make sure the volume you want will be accessible to you. Our research room is just fine, our offices less so, but we’re ready to resume access! 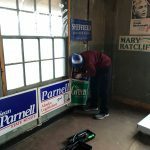 Thanks to all of you who have reached out to volunteer to help us clean. Unfortunately because the clean-up needs to happen in spaces that are not public spaces, we are unable to accommodate volunteers who are not currently employees of the Consortium Library. While it’s probably pretty safe, we just can’t take any chances that any of you might get hurt while dealing with these materials. Our Risk Management types would never forgive us and more importantly, we’d never forgive ourselves either. We thank you for your patience and support as we continue on with clean-up. Here’s to some sunny days and lessening aftershocks. May you keep safe and happy and warm. The post Back to partial operation appeared first on Archives and Special Collections. There’s a few reasons. We’re nearly at capacity for physical collections, our vault is about 85-90% full. We’ve been doing a lot of rehousing of collections and moving them during the past few years to make as much space as possible, but we’ve been filling in just as much space as we’ve been gaining. And there’s only so much more of the rehousing we can do. Yes, lots of collections are coming in electronic form these days, but we’re still getting plenty of hard copy, too. Converting our collections storage space to compact shelving would take us from our current capacity of about 9100 cubic feet to about 13,000-14,000 cubic feet. As you can see, that’s a pretty large gain in capacity. That’s reason #1. Even though our standard shelving in the archival collections vault has some basic earthquake bracing, to meet code, the vault does not look like the Rare Books collection. Most of it is fine. But the shelves closest to the wall? They look like this. 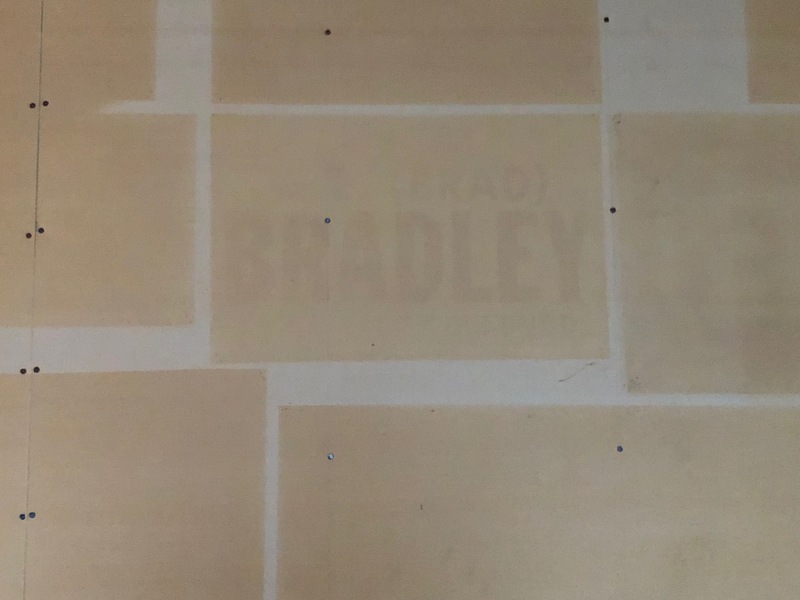 The shelving that adjoins the north-south wall of our vault–the same directional orientation as the shelving unit in the Rare Books Room, abutting a wall just like in the Rare Books room–ditched a lot of the boxes that were on the upper shelves. And lots more were left hanging on the edges of shelves. Not only does compact shelving hold more collections, because of the more robust bracing used with compact shelving units and the cushioning between the hard floor and the shelving, they are far more earthquake proof than standard archival shelving units. There’s one giant problem though, and it is the cost. Several years ago we had an estimate on costs and it was running about $600,000. Now, with increased price of steel, shipping, and the fact that we’ll have to move and temporarily store more collections to have compact shelving installed in the space, the cost will have gone up. That, I don’t have an answer to. I’m beyond grateful that none of us were in the vault when this happened. I’m grateful that none of the contents of the boxes that came off the shelves seem to have suffered any damage that cannot be dealt with. I’m grateful that when archival materials are kept in boxes, even if they do fall off of shelves, the contents often stay together and in order. We came off very well from a major earthquake with a close epicenter and honestly, picking up one hundred or so boxes seems like a minor price to pay when we think about what could have happened if building codes would have been more lax. We know we have a lot of clean-up ahead of us! We may not be able to provide access to some of these collections immediately, but we will do our very best to keep you informed of our status and work with you to get you access as soon as possible. Thank you for your patience, and thank you, all of you, who have checked in with us and expressed your well-wishes. We really appreciate it! The post Why I want compact shelving appeared first on Archives and Special Collections. 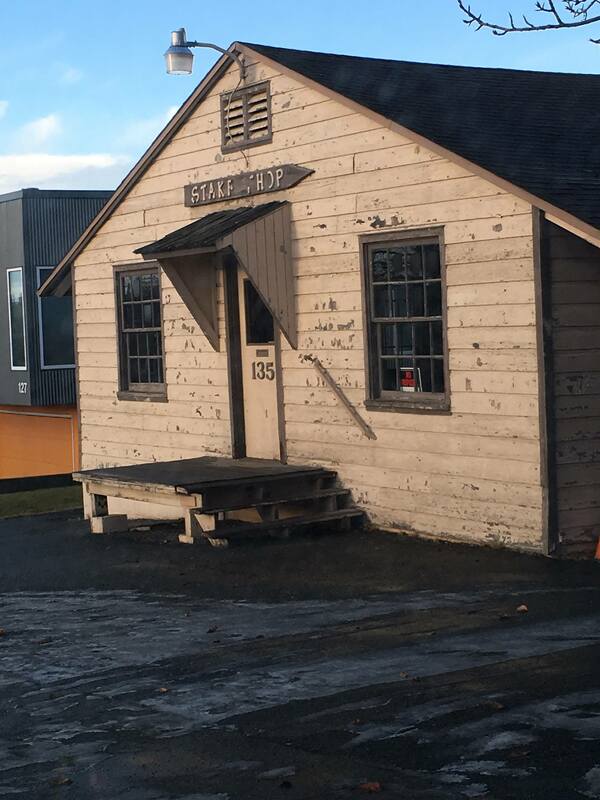 The post Archives field trip: picking up a collection appeared first on Archives and Special Collections. Every so often we get the question: my father/grandfather/uncle/great-uncle worked on the construction of the Alaska Highway. Is there the a list out there of all the people who did? How can I find out more about where he worked? The short answer to that is: there’s no list that we know of, and it depends. Depending on the source you’re using, at least 11,000 U.S. Army Corps of Engineers servicemen worked on the Highway construction. But those weren’t the only people working on the highway. Both Canadian and US civilian contractors made up quite a lot of the workforce too. According to one federal report, at the height of construction nearly 16,000 civilians were working on the Highway. The first, 11,000 servicemen count, is probably a total count of the individuals who were assigned to the highway construction. The second is probably just a minimum since some workers over time might have left and been replaced. You’ll notice that I’m defaulting to men here: I’ve not seen exact numbers but based on everything I’ve seen and read, the workforce was primarily men. Here’s some research hints we provide to people who ask us these questions. If you know of any other great tips for researchers looking for individuals who worked on the highway, please share in the comments? Knowing if the person you’re interested in researching was there as a member of the military or as a worker for a contractor may help as you start your research. If he was a member of the military, you might want to see if you can get your hands on his military personnel file to see if it mentions his duty stations or his unit so you can go looking for unit histories. The National Archives has some guidance on their website about researching military personnel records. Finding unit histories can be complicated but if your basic web search isn’t turning up one (a lot of times veterans’ organizations post these things online!) you might want to start with the Corps of Engineers history office or ask a librarian at your local library to help you track one down. The good news is that the military tended to track where soldiers were (they had to feed them and move them around!) so unit histories and personnel records were kept and maintained. The bad news is that a fire at the National Personnel Records Center in the 1970s destroyed a lot of WWII personnel records. But the National Archives site can give you more details on what they have and other alternate searching ideas for these files. Where it gets a little more complicated is with the records of the civilians working for contractors. Unlike the US Federal Government, corporations and companies may not have the same records-keeping requirements. And to be honest, in the past, archives and museums didn’t always make a lot of effort to collect and preserve the records of small businesses and the businesses themselves may not have kept/preserved/passed their records on to an archives. So if your name search on the web is taking you nowhere, what do you do? Knowing who he worked for is a start. The highway construction was actually parceled out to several contractors by both geography and type of work. So several contractors were assigned to oversee broad sections of the route during construction: kind of a more administrative and logistical job. Then other “roadway contractors” were assigned smaller areas within those regions, and some sections of the highway had yet a separate contractor to handle surfacing. Knowing the company that your guy worked for can help you narrow down the geographic area in which he worked. There’s also many many many histories written on the construction of the highway. So you might want to look for those and see what your local library can interlibrary loan for you. One we like and point people to a lot, especially for people interested in the civilian contractor experience, is Alaska Highway Expeditionary Force, a roadbuilder’s story by H. Milton Duesenberg. It has a reprint of the map from the congressional report as well as many other bits of information and is a very readable history of the highway construction. Plus there’s loads of archives out there that have things related to highway construction. You’d be hard-pressed to find an archives or museum in Alaska that doesn’t have at least a few photographs related to highway construction. 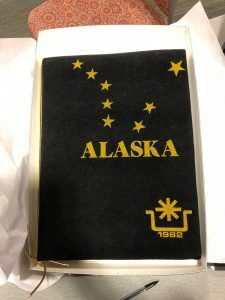 We’re working on a statewide guide to archival resources about highway construction but in the meantime, you can look at the collections held by individual Alaskan repositories (many have some sort of catalog or listing on their websites). If you’re interested in what we have here in the archives at the Consortium Library, we’ve started a list of our collections related to highway construction and it can be found here. 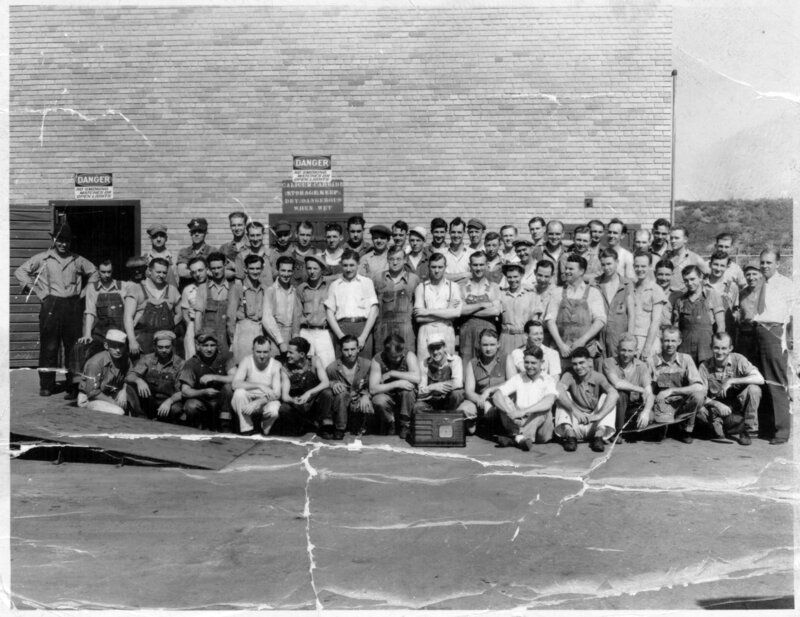 Generally though, if you’re looking for somebody specific rather than just general photos and documents related to highway construction and the workers, you’ll probably need to for whom and where the person worked in order to find archival materials related to that specific place or person. And don’t forget the Alaska’s Digital Archives if you’re just curious about Alaska Highway construction and want to see photos of it. There’s currently over 350 photographs of highway construction in the Digital Archives so you’ll find plenty to browse through. 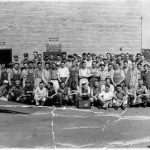 The post Finding Alaska Highway construction workers appeared first on Archives and Special Collections.